For an updated version of this lens with a closer minimum focusing distance, reduced flare and ghosting, and an upgraded Image Stabilization system, please see the Canon EF 70-200mm f/4L IS II USM Lens. 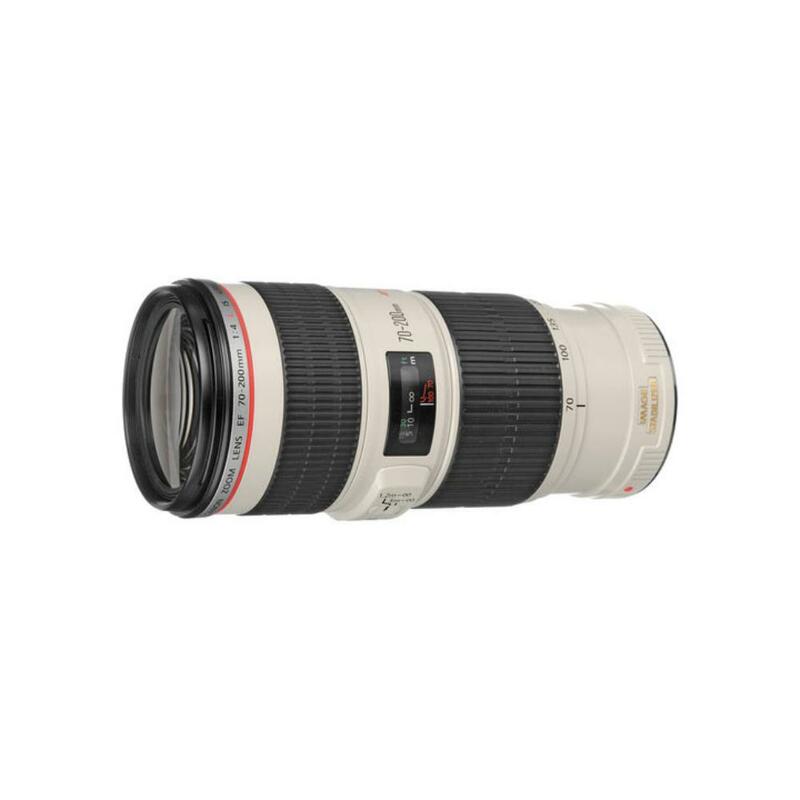 The Canon EF 70-200mm f/4L IS USM Lens is a lightweight telephoto zoom that provides very high quality optics in a size suitable for travel thanks to internal zooming and focusing. It is similar in almost every day to the Canon EF 70-200mm f/2.8L IS USM II Lens but sacrifices maximum aperture in favor of a much more portable form factor. It sports Image Stabilization in 2 Modes: Mode 1 compensates for shake in all directions and is designed for hand-held shooting. Mode 2 compensates for horizontal shake and is helpful only when shooting across the horizontal axis (i.e. panning). It also features two focus distance ranges that enable you to adjust the autofocus to fit your needs and shorten AF speeds. The ranges are 3.9' to infinity for closer subjects and 9.8' to infinity for everything else. The Canon 70-200mm f/4L IS USM can be paired with both full frame sensor cameras, such as the Canon 5D Mark III, and with crop frame sensor cameras, such as the Canon 7D Mark II. The focal length equivalent on crop frame sensors is 112-320mm. Provide yourself with even more reach when you pair this lens with a 2X or a 1.4X Canon extender (rentable separately). This lens is ideal for outdoor sports and wildlife photography as well as portraiture and event shooting. • This lens is compatible with Canon EF mount cameras in both full frame and crop frame sensors. The focal length equivalent on crop frame sensors is 112-320mm. • This lens is compatible with 2X and 1.4X Canon extenders. • This lens comes with 2 modes of stabilization. Mode 1 compensates for shake in all directions and is designed for hand-held shooting. Mode 2 compensates for horizontal shake and is helpful only when shooting across the horizontal axis (i.e. panning).